The Registration of Marriage of Non-Resident Indians (NRIs) Bill has been in the works for some time but it was on Monday that Sushma Swaraj, India's External Affairs Minister, introduced it formally in the Rajya Sabha (upper house of the Parliament of India). If the bill becomes law, it will affect millions of NRIs across the world. What exactly does the Bill propose? So, it's not mandatory yet? No, the Bill has to be approved by both houses of the Parliament and then get an assent from the President for it to become a law. However, the administrative machinery such as online portals and databases, which will ensure smooth enforcement of the law, is already being put into place. Why has this bill been proposed? The Bill seeks to provide safeguards to Indian women who are trapped in fraudulent marriages with NRIs. "It has been decided to bring in a legislation to provide for compulsory registration of marriage for better enforcement of rights of the deserted spouses under various family laws," the Bill states. What will happen in case of non-compliance? If the Bill becomes legislation, proof of non-compliance can lead to the passport of the NRI husband being impounded or revoked. For this, the Bill has a proposed amendment to the Passport Act, 1967 would empower the passport authorities to impound or cause to be impounded or revoke a passport or travel document of a, NRI, if it is brought to his notice that the person has not registered his marriage within a period of 30 days from the date of marriage. The proposed amendments to the Code of Criminal Procedure, 1973 would also empower the courts to issue summons and warrants through the specifically-designated website of the Ministry of External Affairs. It further provides for attachment of the properties, both movable and immovable, belonging to a proclaimed NRI offender - if he fails to appear in court for legal proceedings in such cases. How are marital desertions in unregistered marriages handled now? While there are provisions for spousal complaints, there is no legislation that can force the NRI husband/wife to appear in court or leave the country of residence. With the proposed Bill, embassies can get notifications of revoked or impounded passports and inform local authorities in the country of residence. With the passport being revoked, the NRI offender will not be able to travel, hence restricting his or her movement; it would also eventually affect his or her residency status. 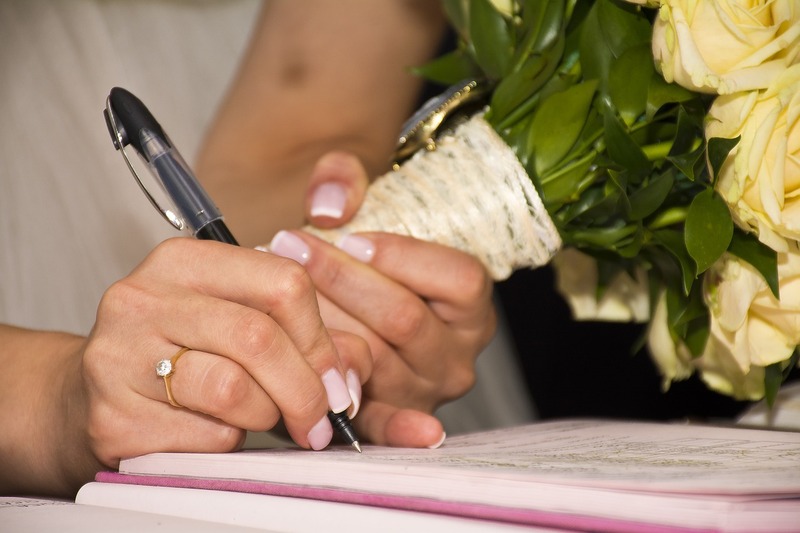 How important is my marriage certificate in the UAE? Karuna Agarwal, director, Future Tense, 37, who runs a recruitment firm said more companies are asking for duly attested marriage certificate of candidates seeking jobs in the UAE. “It is an important document for employers as this validates the marital status of a candidate. Remember when companies hire a married employee there are considerable costs attached paying for family visa costs, travelling expenses and in some senior level management even education of children is taken care by the employer. Naturally when they are spending so much on an employee they want to ensure all documents are in place and a registered marriage certificate very much is a part of this process. In fact in the case of one the candidates we were placing for a local company in Dubai – his starting date was delayed as he did not have a marriage certificate. The whole process for him to procure the document and get it duly attested took a couple of months and he was just luck the employer decided to wait for him", she said. Sundaram Padmanabhan, 55, a banker who works out of Oman and UAE said the marriage certificate is an important requisite for Indians. "It is always good to register your marriage and have it duly attested by relevant authorities. Although it does not affect your day to day life, but it is an important requisite when it comes to certain things like when a child is born. When a birth certificate needs to be done, the marriage certificate is asked. That is when it is important", he added. How can I register my marriage? If the marriage ceremony happened in India, the couple has to register the marriage in India itself at the Municipality or Panchayat corresponding to the wedding venue. However, if the marriage happens outside the home country, the embassies step in to help complete registration formalities. Contact the consulate or the embassy for details on such procedures. At the end of the process, you will get a marriage certificate valid for all legal documentation processes. For UAE, is that all I need to do to legalise my marriage? This information is correct as on published date. Please contact relevant authorities before embarking on legal documentation processes - Gulf News is not responsible for any changes, errors or misinterpretations herein. It is always better to have registered your marriage for multiple reasons whether your family lives abroad with you or not. However, if this law comes into force, the registration will become mandatory.